Train hard, train smart in TYR Vesi™ Youth Goggles. Constructed with a low profile, unibody design for a close fit and minimal drag, the LGHYBJR is specifically engineered to accommodate the smaller facial contours of young male and female athletes. Lightweight and streamlined, the Vesi's watertight construction includes Durafit silicone gaskets, wide peripheral range and speed adjust technology for easy on and off wear. Lucky hit on our first try with TYR goggles as long time speedo fans. Fantastic fit, great quality and light/comfortable - I am converted to this brand! Gotthese for my boys. They immediately took to them. Wouldnâ€™t buy any other brand of goggles. 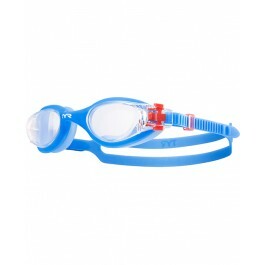 Ever sin ce my son started swimming it was hard to find goggles that would fit and at the same time would be confortable. TYR Junior does a great job to meet both needs! 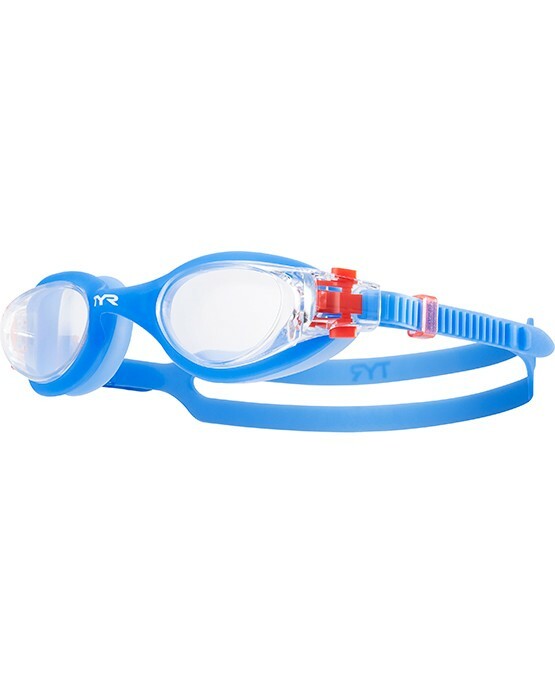 Q: Can you use TYR Bungee Cord Strap Kit to replace the straps on this style of goggle? A: Yes, the Bungee cord will work on this goggle.